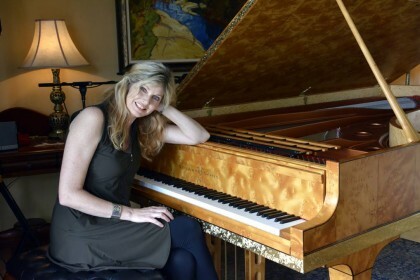 By Lisa Tisdell Feb. 25, 2015, 4 a.m.
DON’T try to pigeonhole composer, pianist and singer Fiona Joy’s style. Take her song Grace, for example. The song has an Indian flavour on the Grammy award winning album Winds of Samara, flautist Sherry Finzer’s version is slow and ambient, there is Fiona’s slow vocal romantic style and the Kendall songstress and her son Nick Hawkins combined to create a yet to be released chilled beat box rendition. “I love to explore the options with music and different directions,” Fiona says. 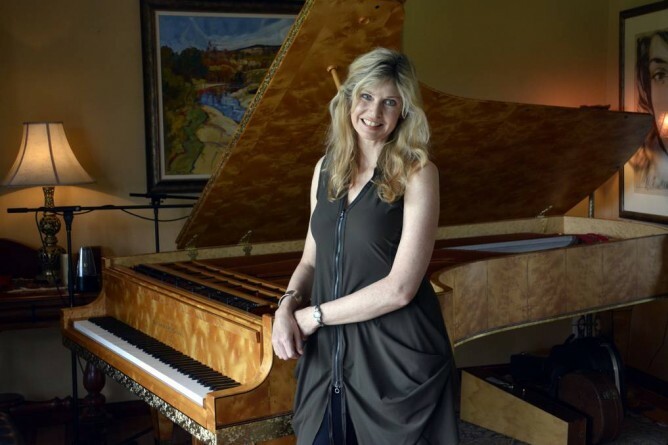 Life was busy with parenthood but Fiona Joy, previously known as Fiona Joy Hawkins, never gave up on her childhood dream of becoming a concert pianist and composer. Fiona already had a body of work when, at the insistence of her mother, she first stepped into a recording studio at age 38. She has been making up for lost time ever since. Fiona, with her independent indie label, set her own career direction until six months ago. She recently signed with Blue Coast Records, a content partner with Sony, and aligned herself with the audio file market which she believes is the future direction of the music industry. Fiona’s latest CD, Signature Solo, comes out in April, and she is recording Signature Synchronicity and writing a new album. Signature Synchronicity is a Port Macquarie collaboration bringing together music, art and video in an art gallery installation. 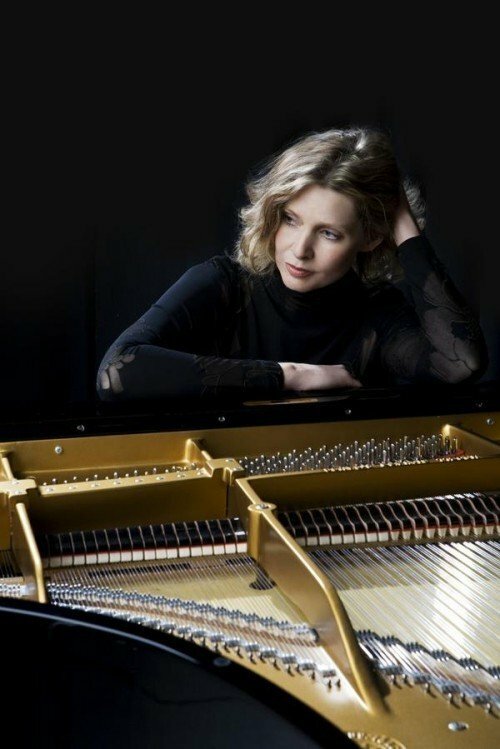 Busy calendar: Fiona Joy with her much-loved Stuart & Sons concert grand piano. Fiona is teaming up with video company The BIG Movie Company and artist Leanne Prussing. Fiona hit the headlines when Winds of Samara, a collaborative album with Wouter Kellerman and Ricky Kej on which she wrote the song Grace, took out the Best New Age Album at the 2015 Grammy Awards earlier this month. There have been five offers for concerts in the past week alone. Fiona is based in Kendall and she wouldn’t have it any other way. “All I need is a piano, the internet and an airport,” says the performer for whom overseas travel is a regular feature. The Camden Haven town is a beautiful place with great weather and great people, she says. A passion for music fuels Fiona’s career. “I’ve never been seeking fame or fortune,” she says. Fiona has played more than 140 concerts in entertainment centres and theatres across the USA, Australia and Canada with venues spanning the Sydney Opera House to the Halifax Entertainment Centre and The Duplex in New York. “For me, it has just been a smile a minute,” she says.